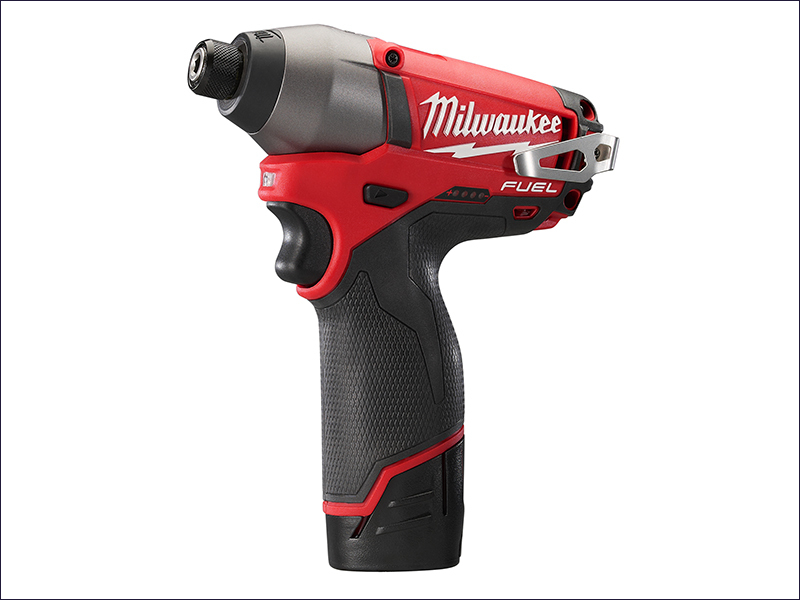 The Milwaukee® M12 Fuel™ CID 6.35mm (1/4in) hex Impact Driver has 2 modes to cover a number of applications. Mode 1 (0-1,200 rpm, 19Nm torque) is ideal for precision work, whereas Mode 2 (0-2,650rpm, 135Nm torque) delivers maximum performance for the toughest applications. It also has a bright LED light to illuminate the workspace. Designed to out-perform other heavy-duty power tools, it has POWERSTATE™ brushless motors for up to 10 times longer motor life. REDLINK PLUS™ intelligence, providing total system communication with overload protection to increase the tool's life. Max torque: 19 / 135 Nm. Supplied with 2 x 12v 2.0Ah Li-Ion Batteries.